One of the most sought after party bands in the U.K with a unique energy, style and charisma that will leave the audience screaming for more. Comfortable performing for 100-100,000 people on some of the most prestigious stages in the world, including London’s very own Wembley Arena and Royal Albert Hall. This 6 piece is a band, a stage show and a concert experience all in one! Piloted by experienced frontman Craig Tyler and backed by the UK's finest session musicians, this small band has a massive sound. With rich, thick harmonies that are 'off the clock' brilliant, a huge 500 song repertoire and a variety of separate vocalists, giving them the ability to choose the right singer for the right song, this unrivalled live party band re-create the original versions closer than any other act around. By successfully fusing 2 sensational, yet sassy, female vocalists, complex 6-part harmonies and unmatched crowd interaction, this band have set the standard for live entertainment since first conception back in 1998. 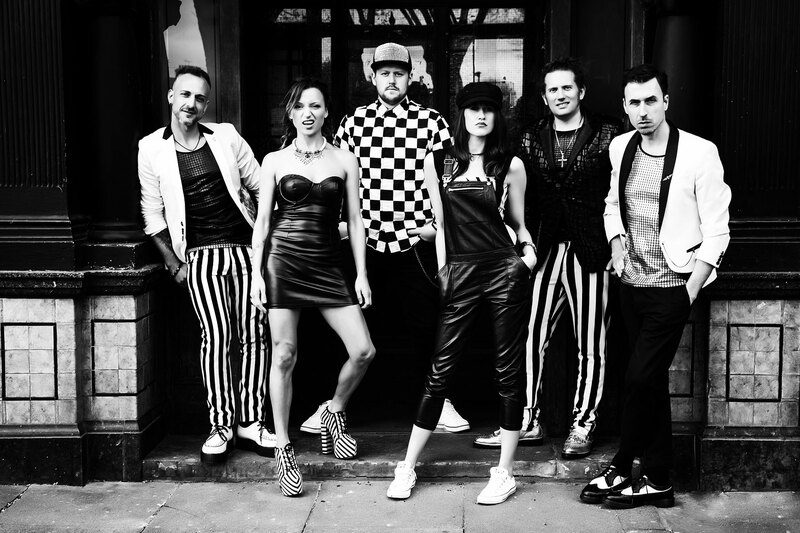 Offering an unrivalled sound, unique song mash-ups that are guaranteed to blow you away, as well as some seriously soulful vocals, this 6 piece party band for hire in London are perfect for any private or corporate event. "...they were absolutely sensational and the dance floor was never empty."